Roswitha and Dean Dixon in Philadelphia in 1975 - at the time when he led the Philadelphia Orchestra in a performance of Bruckner's Symphony No. 1. After several months of searching, the Bruckner Society successly located Roswitha Dixon, the widow of the late American conductor, Dean Dixon. After receiving this information, the Society's Board of Directors lost no time in unanimously voting to postumously present the Society's Julio Kilenyi Medal of Honor to the American conductor, Dean Dixon (1915-1976). Maestro Dixon was a path-breaking musician in many ways. He built a successful international career as an orchestral conductor and in an era when racial obstacles were even more daunting than they are today. He conducted professionally in numerous American cities and held appointments in Germany, Sweden, Israel, and Australia. His musical legacy remains alive thanks to the recordings that he made for both commercial release and with the radio orchestras that he led. We salute Maestro Dixon particularly for his commitment to the music of Anton Bruckner, which at that time was not always easily embraced by the concert-going public. Nevertheless he presented numerous concerts featuring Bruckner’s music, not only in Europe but during his guest appearances in the United States. In looking back over his accomplishments, the Board of Directors feels it is most fitting that the Society’s Medal of Honor be presented to Dean Dixon, albeit posthumously, in recognition of his work to promote the life and music of Anton Bruckner. Dean Dixon was born in the upper-Manhattan neighborhood of Harlem in New York City to parents who had earlier migrated from the Caribbean. He studied conducting with Albert Stoessel at the Juilliard School and Columbia University. When early pursuits of conducting engagements were stifled because of racial bias (he was African American), he formed his own orchestra and choral society in 1931. In 1941, he guest-conducted the NBC Symphony Orchestra, and the New York Philharmonic during its summer season. He later guest-conducted the Philadelphia Orchestra and Boston Symphony Orchestra. 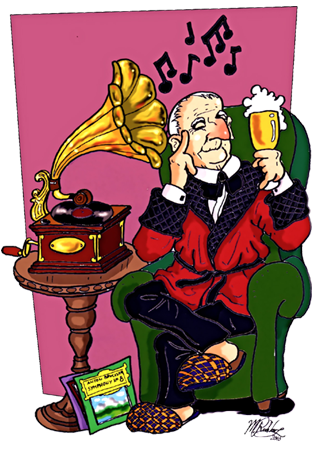 In 1948 he won the Ditson Conductor's Award. In 1949, he left the United States for the Israel Philharmonic Orchestra, which he directed during its 1950 and 1951 seasons. He was principal conductor of the Gothenburg Symphony in Sweden 1953-60, the Sydney Symphony Orchestra in Australia 1964-67, and the Hessian Radio Sinfonieorchester in Frankfurt 1961-74. During his time in Europe, Dixon guest-conducted with the WDR Sinfonieorchester in Cologne and the Symphonieorchester des Bayerischen Rundfunks in Munich. He also made several recordings with the Prague Symphony Orchestra for Bärenreiter, including works of Beethoven, Brahms, Haydn, Mendelssohn, and Weber. For Westminster Records in the 1950s, his recordings included symphonies and incidental music for Rosamunde by Schubert, symphonic poems of Liszt (in London), and symphonies of Schumann (in Vienna). Dean Dixon introduced the works of many American composers, such as William Grant Still, to European audiences. During the 1968 Olympic Games, Dixon conducted the Mexican National Symphony Orchestra. Dixon returned to the United States for guest-conducting engagements with the New York Philharmonic, Chicago Symphony Orchestra, Philadelphia Orchestra, Detroit Symphony, Milwaukee Symphony, Pittsburgh Symphony, St. Louis Symphony, and San Francisco Symphony in the 1970s. He also served as the conductor of the Brooklyn Philharmonic, where he gained fame for his children's concerts. He also conducted most of the major symphony orchestras in Europe, Asia and Latin America. Dixon was honoured by the American Society of Composers, Authors and Publishers (ASCAP) with the Award of Merit for encouraging the participation of American youth in music. In 1948, Dixon was awarded the Alice M. Ditson award for distinguished service to American music. Since Mrs. Dixon lives in Europe (as does Dean Dixon's daughter, Nina) and given that the award coincides with the centenary of the conductor's birth, it was decided to ship the medal and plaque directly to Mrs. Dixon in lieu of a presentation ceremony. 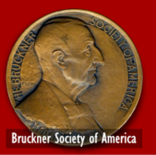 I wish to thank you and the Board of Directors most sincerely for this act of recognition of his achievements, albeit postumously, as a conductor who was among the first advocates of Bruckner's work. This month on January 10th, 2015, was the one hundredth anniversary of Dean's birth and thus it is a near-perfect occasion to honor him with presenting this prestigious medal. I feel proud to be able to receive it in his stead and submit my humble gratitude also in the name of his daughter Nina Dixon. 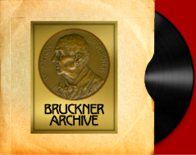 As part of the presentation to Mrs. Dixon, the Bruckner Society collaborated with the New York Philharmonic Archives to present her with a copy of the 1972 CBS broadcast of the New York Philharmonic's "Young People's Concert" presented by Dean Dixon. The program was entitled, "Bruckner: The Fourth B" and featured a discussion and partial performance of Bruckner's Symphony No. 3.